Michael Stolis, a DC attorney, is frustrated by twelve hour work days, tightly scheduled weekends and his family's chaotic habits. He explodes over minor irritations like being stuck in traffic, and his tantrums need to stop. His disillusioned wife, Jamie, is sick of his anger outbursts, and wants him out of her life. Michael longs to reignite the passionate love they once felt for each other. Jamie prefers to spend her time fostering illicit Internet relationships. Michael had simply followed his Greek father's instructions for a successful life, but something went terribly wrong. A lucrative career, a Georgetown brownstone and a BMW coupe didn't deliver happiness as promised. When his family is about to implode, Michael finds hope through Rufus, an astute retired bus driver he meets over a game of blitz chess in Dupont Circle. Michael is intrigued by Rufus's prescription for fulfillment, but is it too late to change a life, chase a dream, revive a marriage? Michael must decide how much he is prepared to lose if he embarks on a quest so very different from the world he created. Touching, romantic, and deeply provocative, A Stop in the Park, follows the story of a man and a woman who yearn to escape the trap of the modern American dream. Peggy Strack writes popular fiction about challenges people face in the fast-paced and daunting contemporary world. 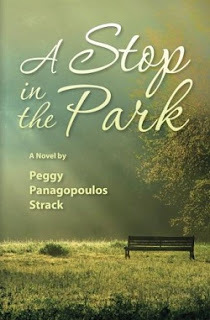 She is excited to launch her debut novel, A Stop in the Park, the story of Michael and Jaime Stolis, a disillusioned married couple who yearn to escape the trap of the modern American dream. Peggy hosts the award winning blog, "Kick Back Moments," for theSaratogian Newspaper. She studied fiction at Skidmore College, The New York State Writers Institute and East Line Books and Literary Center. 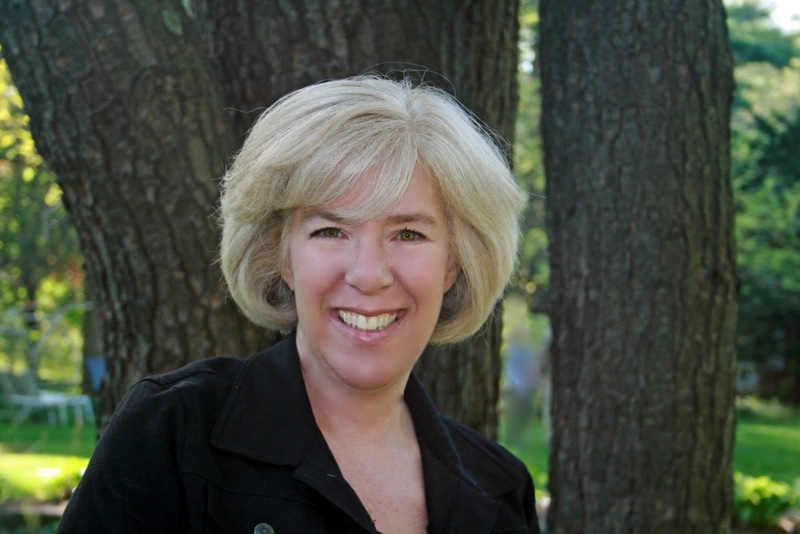 She is a speech-language pathologist living in Saratoga Springs, NY with her husband, Keith. Peggy has two adults sons enjoys an active lifestyle that includes hiking, kayaking, and skiing. To see the rest of the tour dates please click here. Perhaps a little too real-life for me at this moment in time, I'm looking for a read that is pure escapism. Oh, this sounds like something I need to get for my own life. Thanks for bringing it to my attention!